Background: As interest in the use of eukaryotic microalgae as production platforms for biofuels and bioproducts increases, it is important that species-specific tools are made available. Species-specific molecular toolboxes will allow the engineering of improved performance to drive down manufacturing costs to overcome the economic thresholds for production of commercially competitive products. 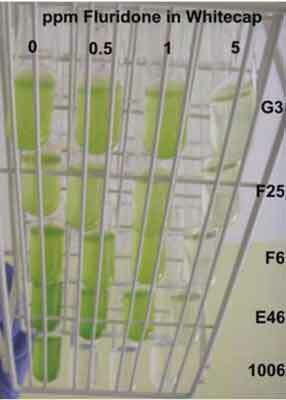 Historically, most genetic manipulation of eukaryotic microalgae focused on model algal strains such as Chlamydomonas reinhardtii, Chlorella sp., and Phaeodactylum tricornutum. The strong foundation built using model algal species now allows more rapid development of species-specific molecular tool boxes as novel microalgae-based products are identified in new algal strains. Customized tools for engineering improved production in strains that hold promise for fuels, foods, and high value chemicals will be a focus of future research. A snapshot of the current status of eukaryotic algal molecular engineering tools is provided plus data generated in our laboratory as we developed tools for manipulation of Auxenochlorella protothecoides. Methods: Current methods for manipulation of eukaryotic microalgae are reviewed and manipulation of Auxenochlorella protothecoides done in our laboratory is used to provide examples of some useful approaches. This paper broadly reviews all the methods currently in use or being developed to generate transgenic eukaryotic microalgae. Results: Provide original data on Auxenochlorella protothecoides for manipulation of the chloroplastic and nuclear genomes. Design of vectors and different approaches are discussed. Conclusion: Engineering improved strains of eukaryotic microalgae for economical production of biofuels and bioproducts is becoming a reality. Traditional insertional random mutagenesis is being augmented with new tools for directed strain improvement. The development and application of state of the art genome editing approaches to algal production strains has a real potential to help overcome economic thresholds and to enable microalgae as biorefineries to enter the marketplace alongside fossil fuels. The increased availability of sequenced genomes in combination with the reduced cost of generating proprietary genome sequences positions genetic engineering of eukaryotic microalgae at the threshold for rapid commercial application. Eukaryotic microalgae, metabolic engineering, transformation, Auxenochlorella (Chlorella) protothecoides. BrioBiotech LLC, Glenelg, MD 21737 USA.